We are a reputed name in the industry, devoted towards offering the best quality Dried Morels. Valley Impex brings to you, The Authentic Premium Dried Morel Mushroom, from the Kashmir Valley. We produce superior quality mushroom under the expert guidance of our Production Head, who has done his Phd in biotechnology. 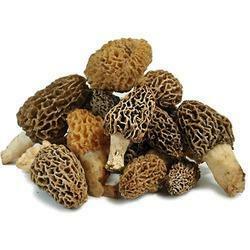 We are widely known as Dried Morels Manufacturers & Exporters in the global market. Our Dried Morels is very soft, golden-red in color and uneven in texture. Keeping the health factor in mind. Satisfying the varied needs of our customers is our palette of air-dried products. The process of extracting water from the products, through hot air, enhances its shelf life without adding preservatives. Our cost effective products are easy to store, handle and satisfy your taste for perfection.